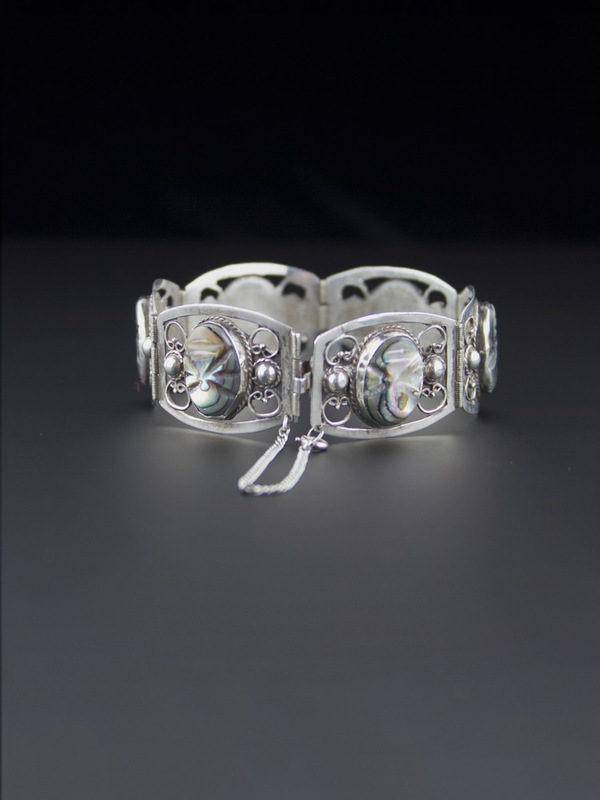 Stunning, small and delicate 1950's handcrafted vintage bracelet. 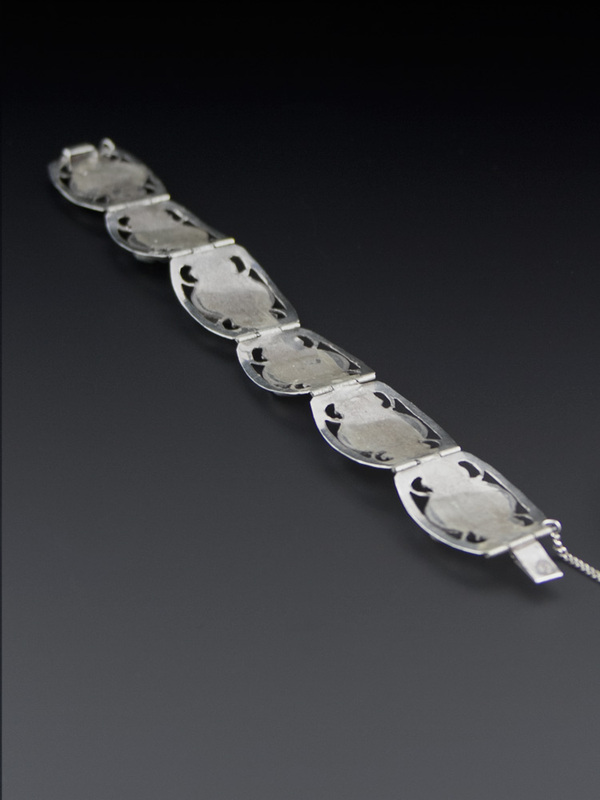 Made in Mexico, this is a is a fine and delicately carved sterling silver piece. 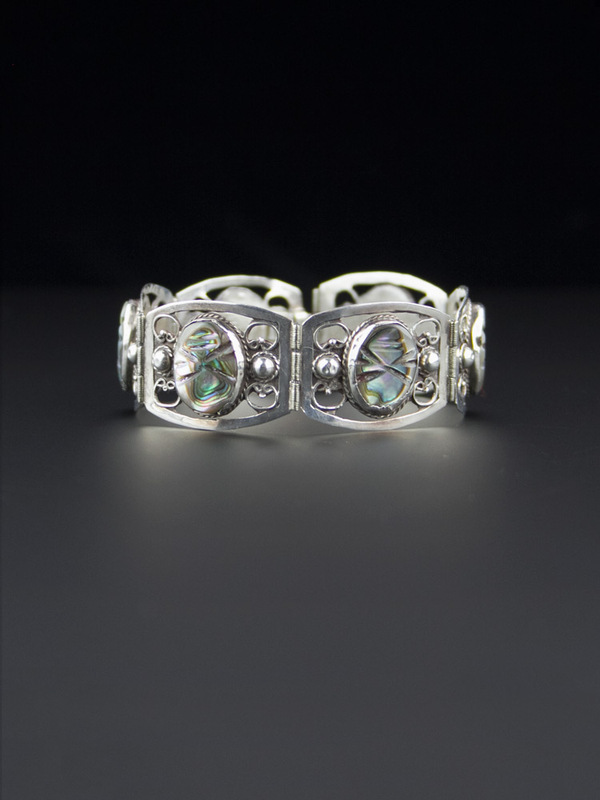 Six links with repoussé balls and a curved motif with a carved piece of abalone in the centre of each. 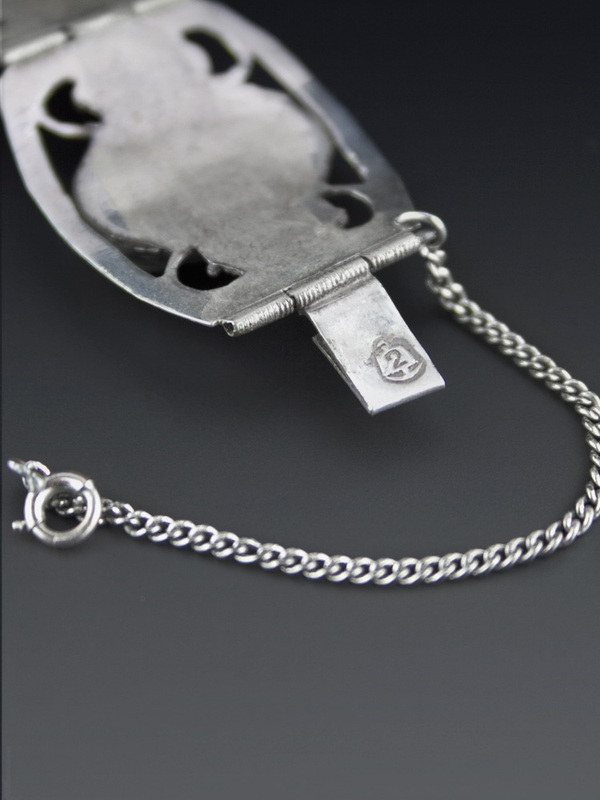 Safe tab clasp with an attached safety chain (I'm not sure it's the original chain). Amazing! Spectacular vintage condition. Shows mild wear commensurate with age, no dings or chips, will come with some patina, as level of polish is a matter of taste. 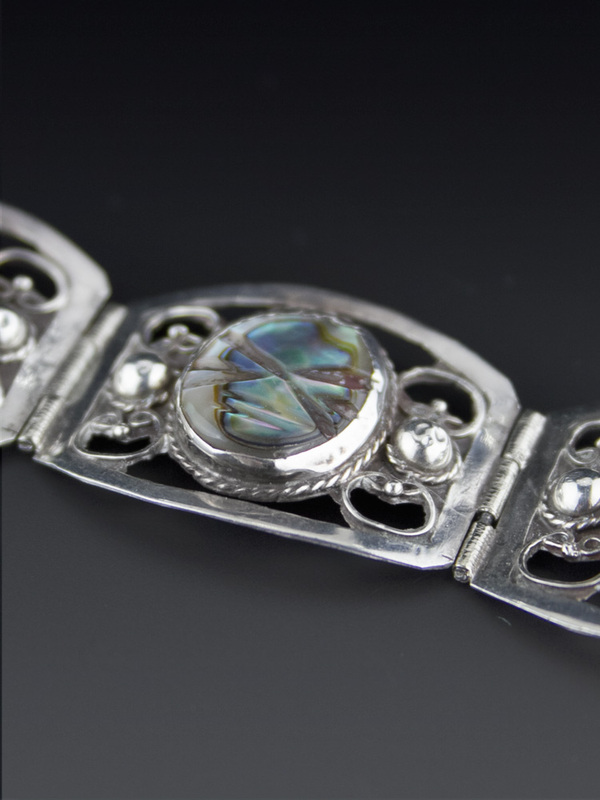 Has a handcrafted look to it - some of the bezel is a little uneven - amazing vintage bracelet. 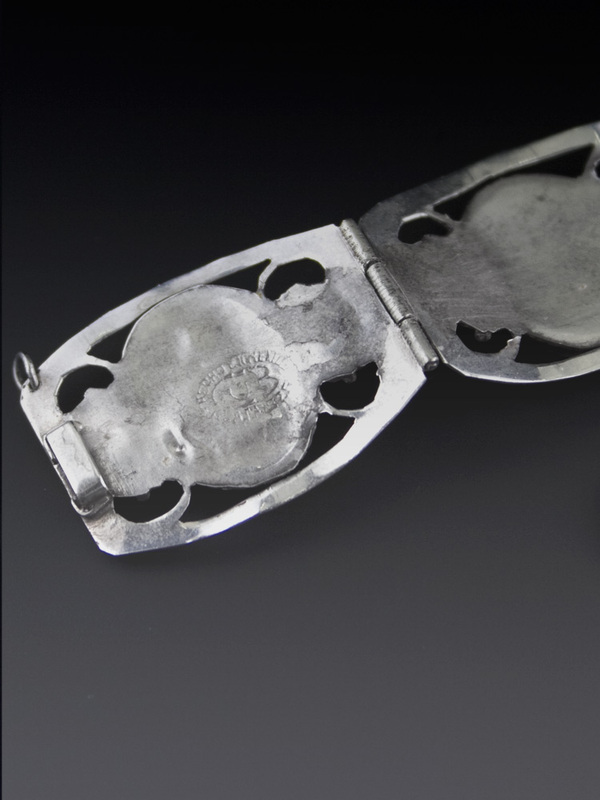 Repoussé is a metalworking is a metalworking technique in which a malleable metal is ornamented or shaped by hammering from the reverse side to create a raised design - the back usually flat finished.